A flabby, translucent creature called the hadal snailfish (Pseudoliparis swirei) is the first animal from the extreme depths of the ocean to have its genome sequenced. Its genetic road map is revealing the basis of adaptations that enable animals to live in hostile environments such as the Mariana Trench, the deepest place in the ocean. Deep-sea creatures must cope with a cold, dark and extreme-pressure environment. But without the genome of any animal living below 6,000 metres — a region known as the hadal zone — scientists weren’t sure how the creatures acquired the adaptations necessary to survive. Results published on 15 April in Nature Ecology & Evolution1 point to skeletal and cellular changes on which the hadal snailfish relies to endure these harsh conditions. The study authors captured hadal snailfish from about 7,000 metres down in the Mariana Trench in the western Pacific Ocean. 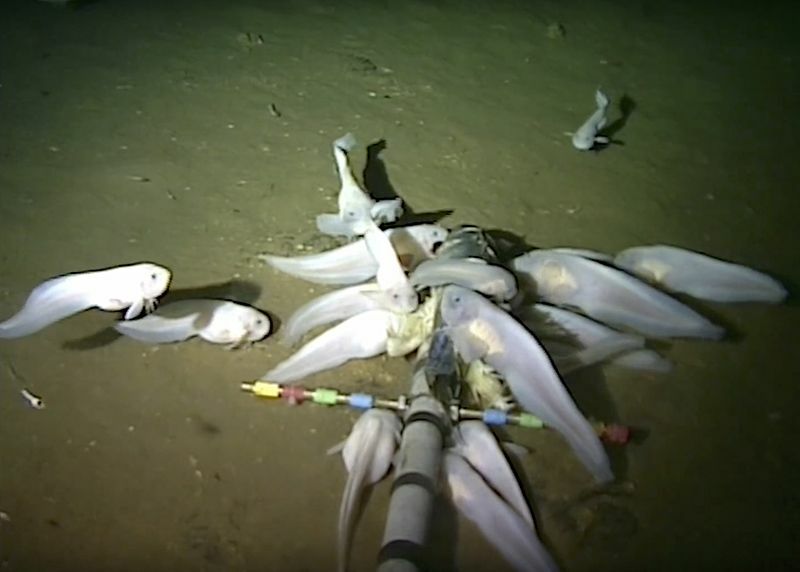 After sequencing the fish’s genome, the team searched for clues that could explain hadal snailfish traits such as a skeleton made of cartilage and cellular membranes that keep working under immense pressures. The pressure in the Mariana Trench is similar to what someone would feel if the entire weight of the Eiffel Tower rested on their big toe. The researchers compared the fish’s DNA to that of a close relative, the Tanaka’s snailfish (Liparis tanakae), which lives in tide pools. The two species split from a common ancestor about 20 million years ago. 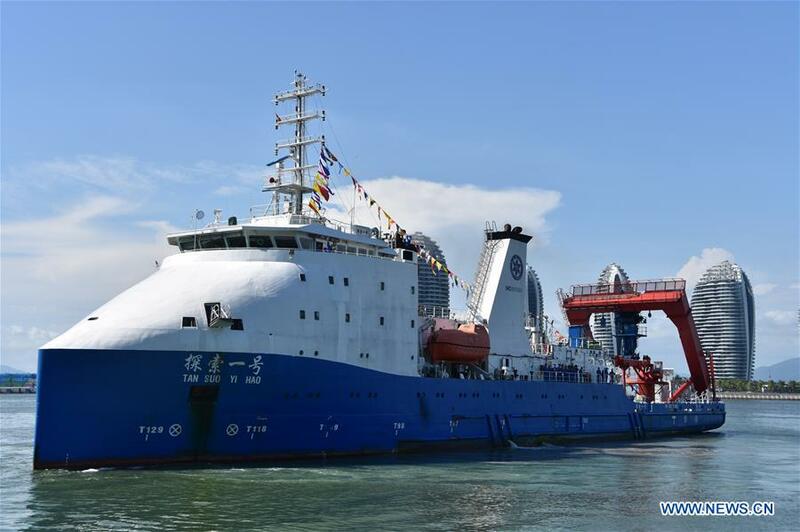 There are several genetic changes in the hadal snailfish genome linked to a rapid adaptation to the deep sea, says Shunping He, an ichthyologist at the Chinese Academy of Sciences in Wuhan, and co-lead author of the study. The high pressures in the Mariana Trench would crush normal bones. But a gene integral to hardening bones is inactive in the hadal snailfish — consistent with the idea that a skeleton made of cartilage is more pressure-tolerant, the authors write. Hadal snailfish have also lost several genes involved in sensing light. However, He and his colleagues did find five such genes that are still active, suggesting that the fish might have a residual ability to see. Some groups of genes, many of which are involved in fatty-acid metabolism, have expanded in the hadal snailfish. The presence of certain fatty acids helps cell membranes to stay flexible at great depths, the authors write. Otherwise, high pressure can cause those membranes to become rigid and impenetrable. Other genes act to prevent proteins from folding incorrectly under extreme pressure. The study also creates a basis for future work looking at how fish have evolved to survive in extreme environments, says Natalya Gallo, an oceanographer at Scripps Institution of Oceanography in La Jolla, California. Now, researchers can conduct lab-based experiments with tools such as CRISPR, editing genes to explore the traits that they control, she adds. 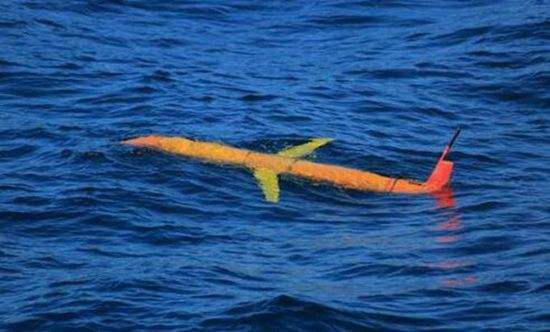 China's domestic underwater glider reached a depth of 6,329 meters during a mission in the Mariana Trench, breaking the previous record of 6,000 meters held by a U.S. vessel, according to the Chinese Academy of Sciences (CAS).